Is It Time For a Furnace Replacement in My Calgary Home? Now that winter is behind us, it’s a good time to take stock of what needs maintenance or replacement in your home. Calgary winters give the residents a run for their money. If you feel like your heating system might not hold up through another cold season, it’s time to consider furnace replacement for your Calgary home or business. Homeowners rarely want to think about replacing their heating systems because the furnace replacement cost can feel overwhelming. But at Harmony Heating and Air Conditioning, we offer expert Calgary-area furnace installation at a fair price. And with financing available, it is simple and affordable to get your home or business in top shape before next winter. Most Calgarians rely on a central furnace for their heating needs. When these units are working great, life is lovely. You can stay warm and safe all winter. But when they fail, things can get bad quickly. Fortunately, your furnace typically gives you some warning that it needs help. Watch for these six signs that it may be time for a new furnace in your Calgary home or business. If you hear buzzing, rattling, or humming from your heating system, it isn’t doing well. If you find that you have to turn up your television significantly every time the furnace comes on, there is probably a problem. Yes, it would be lovely to use this excuse every time unexpected company drops in, but truthfully, if you are seeing more than normal amounts of dust during the winter, you may have a furnace problem. It’s time to have a Calgary heating expert come check it out. If you find yourself feeling like your heating costs are going up, take a look at your statements to compare winter months over the past few years. If there are significant increases, you may need a new furnace. While there may be some slight temperature variations throughout a home or commercial property, they shouldn’t be significant. If you have difficulty getting one or two areas to heat correctly, the furnace isn’t functioning well. Any time the housing for the furnace has damage, you should have it checked out by an expert. Cracks and rust indicate that the unit probably needs replacing. This sign is nice and straightforward. If your furnace is approaching or has already passed 15 years old, it is likely that you will need to consider a new unit sooner rather than later. Most furnaces have a lifespan of about 15-20 years, so once you get into that range, it generally is better to replace rather than repair. What Are My Furnace Replacement Options? For heating in Calgary, you must find a product that will work with extreme temperatures. At Harmony, we trust top manufacturers like Trane and Lennox to do an excellent job of keeping your home or business comfortable all winter long. Because of the plummeting temperatures that Calgary experiences each year, many area residents opt for high-efficiency gas furnaces when it is time to replace their systems. If you are replacing something that is 15-20 years old, anything new will automatically be more energy efficient than what you had. New high-efficiency heating systems use an electronic ignition when heat is required. This takes away the need to keep a flame burning at all times. Furnaces with this capability can heat at a lower stage the majority of the time, consuming less fuel. When temperatures drop, the second stage kicks in to provide more heat. These furnaces can find a comfortable balance for your home without continually turning on and off. High-efficiency furnaces can adjust airflow to maintain an even temperature while heating. These systems can detect when they need more power to disperse heat. 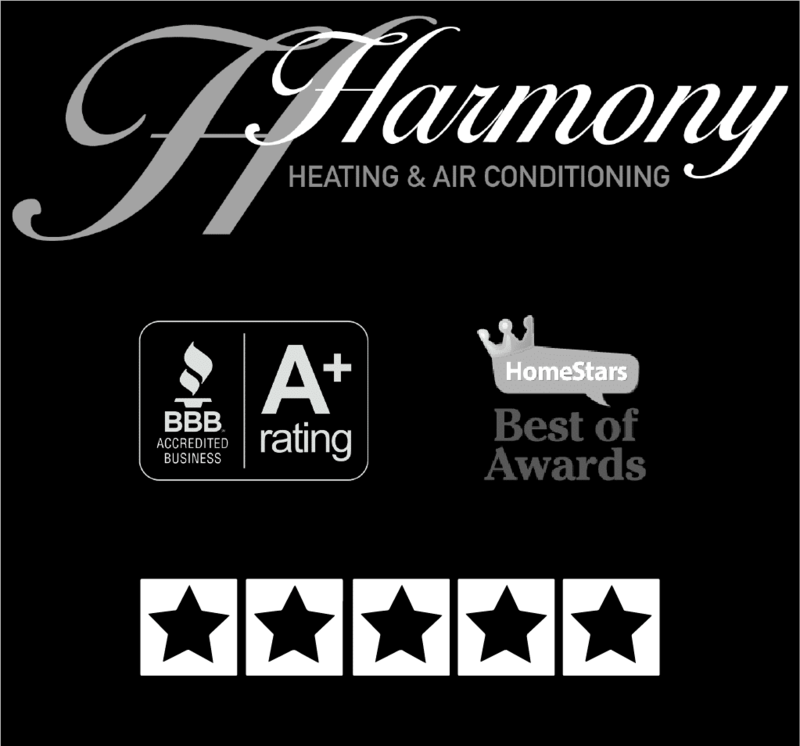 Harmony Heating and Air Conditioning has the experience and knowledge to provide you with excellent service for your furnace installation needs. We will take time to determine the best heating system for your home or business. Give us a call today to schedule a free estimate. When winter comes back around, you’ll be glad you did.